PUB HTML5 creates digital catalog that not only brings fantastic viewing experience, but serves as a marketplace that enables tremendous shopping engagements. A NEW DISTINCTIVE BUSINESS PLATFORM! Besides personal use, PUB HTML5 is primarily applied in business. It is not only meant to bring grand viewing experience to your customers and boost your web visits, but enable customers directly shopping from your digital catalog created. This very quality of PUB HTML5 definitely improves the effectiveness of your business and highly increases your business sales. Traditional e-commerce layouts consist of clickable product thumbnails set against a white or plain background. Such platforms might have an editorial spread or photo gallery, but those would be distinct and separate from the product pages. PUB HTML5 Digital Catalogs allow for a blend of both: editorial layouts and themed spreads. The individual products placed within are clickable for more information and add-to-cart functionality; PUB HTML5 Automate the product linking process using our link recognition tool to search for product ID numbers and SKUs. PUB HTML5 simplifies the linking process and saves you hours of valuable time and energy; PUB HTML5 create a 100% Immersive shopping experience using our online catalog software creator! Your digital catalog will have the ability to add items to the cart without ever leaving the digital edition environment. Keep their concentration where it needs be, inside the catalog! Enable your digital catalog to be a distinctive digital marketplace! Multiple custom setting tools allows you to well design your digital shopping catalog. When customers view the pages of your catalog, they can directly pick the items they like and realize a deal in it with no need to open the home page of your business. All this makes your digital catalog not only a gorgeous sliding book, but a distinctive marketplace. Breathe life to your digital publication by uitilizing PUB HTML5 unique and robust features including branding, rich media, animation, archive, and much more. PUB HTML5 has lots of solutions to improve your customer engagements in your digital market place. 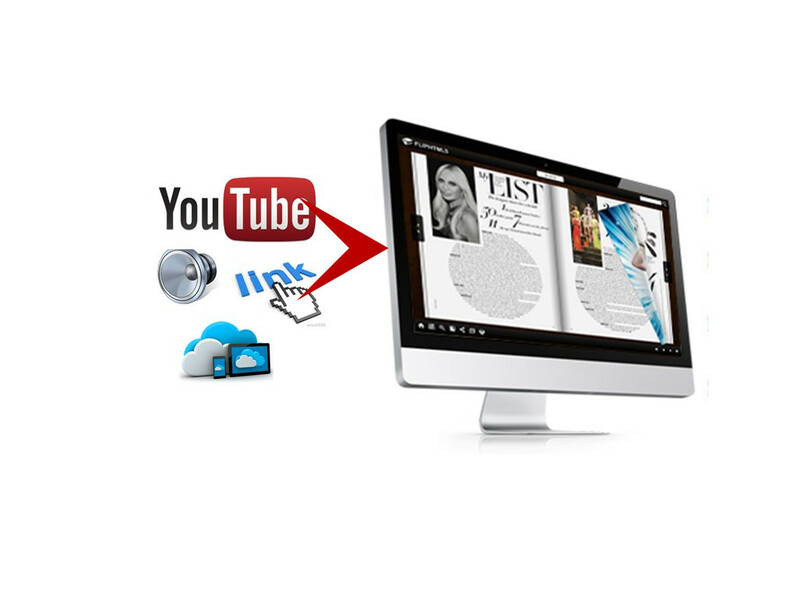 Numerous rich media items including images, audios, YOUTUBE videos, hyperlinks, logo brand, and even statistic tools are available for you to perfect your digital shopping catalog. With use of all these custom tools, you may use your imagination to customize your own beautiful market place. To try to promote your business and increase your potential customers, your may click the UPLOAD ONLINE button to online publish your digital catalog and share it with others through main stream social networks. The main stream electronic devices such as IPAD, IPHONE, MAC, KINDLE FIRE, and ANDROID. This very quality with no doubt enables your digital catalog reaching much more different kinds of customers. Whatever the electronic devices, wherever they are, simply by sliding pages, your customers can easily enjoy an inspiring shopping tour now. 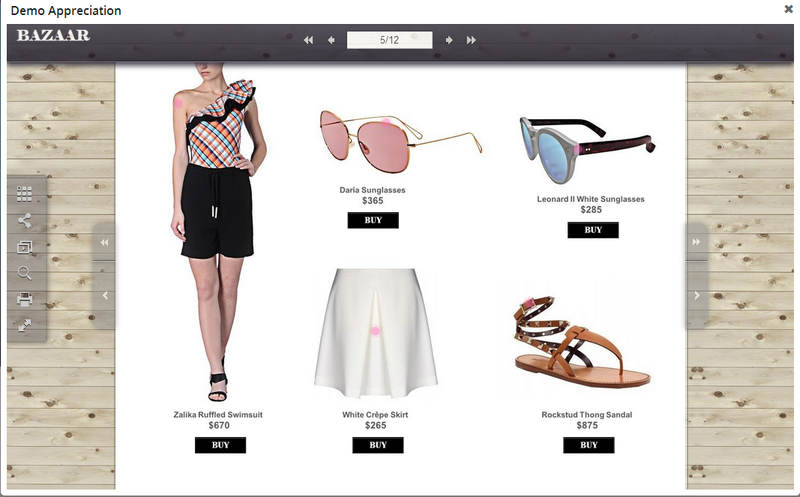 Your digital shopping catalog can be completely new inspiring business mode!